Germans are fairly keyed-in to American politics, but their car industry has made some curious donations to the presidential race. 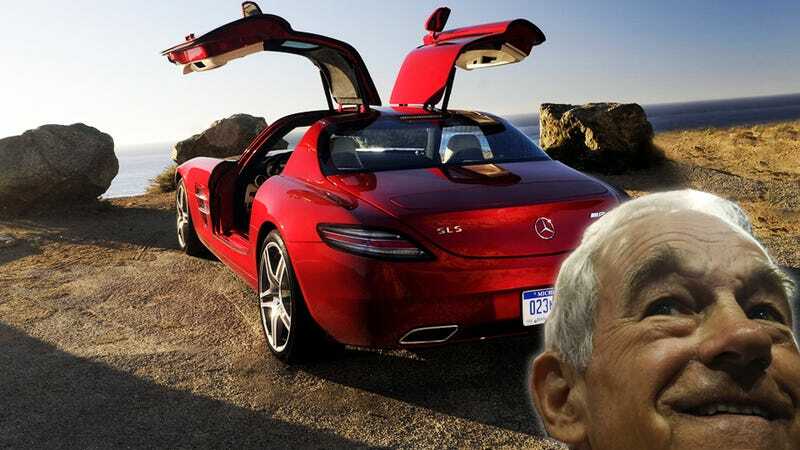 Did you know Mercedes-Benz is supporting Ron Paul this year? The Washington Center for Responsible Politics covers the donations given to each candidate running for office this year. Search a company in its database, and the CRP will tell you how much they gave, and to whom. Search for BMW and you'll find people associated with the company gave $201 to Ron Paul, $220 to Mitt Romney, and a whopping $750 to Obama. All of these donations were made by individuals. Volkswagen proved itself the bluer Automobilhersteller, having donated all of zero dollars to the Romney campaign and $2,250 to Obama. All of these donations were made by individuals as well. Daimler AG, known to you as Mercedes-Benz, donates money like my one weird friend. They gave more to Ron Paul than they gave to any other candidate. $2,603 went to the gold-standard Texan and $1,250 went to Romney. Obama got bupkis from M-B. Again, all of these donations came from individuals. The poorest giver was Porsche, who gave $250 to Obama alone. There were no numbers for Opel or Audi, which rounds out the Germans. So if you're a crazily extreme political junkie and you've bought a German car this year, don't worry. The Germans haven't given any significantly large donations one way or another, and it appears that these donations were individual and not corporate endowments. If you really want to see how the companies are spending their money, look at their lobbying amounts.